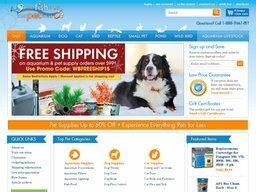 That Pet Place is a retailer of pet supplies, based out of Lancaster, Pennsylvania, United States. The privately held company sells its products through a flagship store in Lancaster called "That Fish Place" and online at ThatPetPlace.com. They cater to common house pets like Dogs, Cats and Fish, but also less common pets like Wild Birds. The That Pet Place brand grew out of the original That Fish Place store, which as the name suggests began solely as a fish supply business. Opening up shop in 1973 it was an immediate hit because of their low prices and expert advice. Over they years they slowly began to expand the number of pet types and products, and now operate a 88,000 square foot facility, with over 700 aquariums and the largest variety of premium cat and dog food in the United States. The online store first went live in 1996, making them one of the first of its kind on the internet. Today data suggests That Pet Place makes upwards of $50 million in yearly revenue. That Pet Place organizes its inventory by pet type and you can also use the search bar if you know exactly what you're looking for. There is also a separate page for sale items, so you're sure to make some savings. Dog: Food & Treats, Health & Dental Care, Flea Control, Cleaning & Waste Disposal, Toys, Obedience & Training, Beds & Mats, Dog Clothing, Collars & Harnesses, Leashes & Leads, Safety Gates, Grooming, Kennels & Dog Houses, Dog Memorials, Puppy Supplies, and much more. Cat: Litter Boxes, Scratchers & Furniture, Catnip & Treats, Cat Beds, Cleaning, Feeding, Food, Health & Flea Control, Grooming, and much more. Fish: Aquariums & Tanks, Pumps & Filters, Stones & Decorations, CO2 Equipment, Lighting, Pest Control, Water Treatment, Wave Makers, Food & Feeders, Sterilizers, Medication, and much more. Bird: Cages, Feeders & Water, Perches & Stands, Toys & Treats, Carriers, Food, Grooming, Lighting, Health, and more. Wild Birds: Food, Treats, Feeders, Birdhouses, Bird Baths, and more. Small Pets: Cages & Hutches, Bedding, Food & Chews, Cleaning, Feeders & Water Bottles, Health, Grooming, Litter Boxes, Carriers, Toys, and more. Reptile: Crab Sand & Supplies, Incubation, Bedding, Lighting & Heat, Cages & Habitat, Food & Feeding, Cleaning, Handling Gear, Health, Hygrometers & Thermometers, Misters & Foggers, Water Filters & Pumps, and more. Pond: Aerators, Water Treatment, Algae Control, Sterilizers, Filters, Cleaning, Test Kits, Feeding & Food, Heaters, Lighting, Fountains & Waterfalls, Mosquito Control, Nets, Plumbing, and much more. 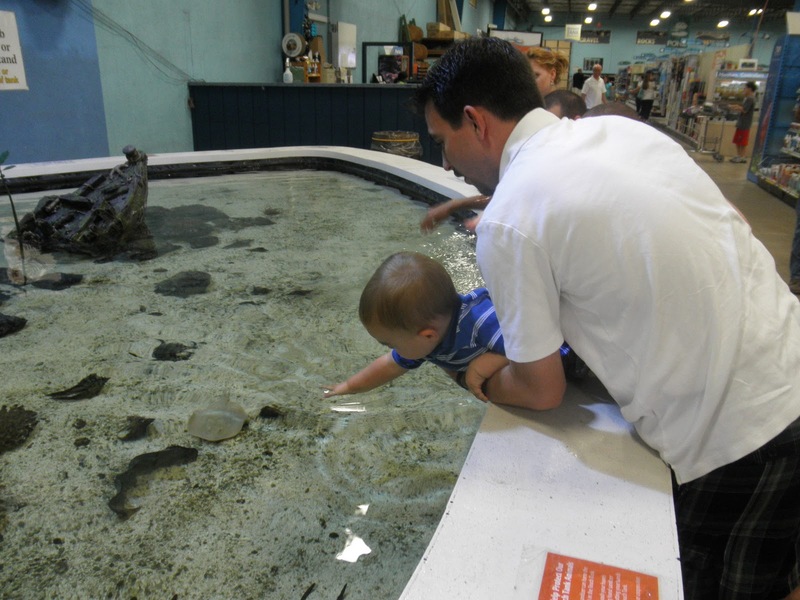 You can also buy live fish and other livestock to add to your pond or aquarium. That Pet Place accepts most major credit cards including Visa, MasterCard, American Express and Discover. Additionally, they also accept PayPal, certified checks, money orders and personal checks from those residing in the United States. Wire transfer is also a choice for international orders. That Pet Place caters to customers within the United States and overseas from the single website, with all prices listed in dollars. The store currently accepts the following shipping methods in the US: FedEx Express Standard Overnight, FedEx Express Two Day and FedEx Express Saver Three Day. International orders will be processed using FedEx, but the delivery times will be significantly higher. There is also a minimum order value of $150. Shipping costs are based on the size/value of your order so to get an accurate calculation you should add items to your basket, enter a delivery address, and then choose your desired shipping option. Those who are not happy with a product that they have purchased can go ahead and return it, however, to do so, the following conditions will need to be filled: the item should be returned within 30 days from its purchase, have all parts enclosed and unaltered in the packaging, and present everything in new condition. Before sending anything back you should contact customer support for authorization.